Fish moving into warmed waters are wiping out important ecosystems. Climate change is really taking a toll on ocean life. Rising temperatures are changing the physical and chemical properties of the waters that cover about 70 percent of our planet, and that’s having a terrible impact on the diverse creatures that live there. A study from the University of New South Wales Australia reveals that important underwater ecosystems, kelp forests, are being compromised by the rising temperature of the ocean. These large, seaweed-like algae usually thrive in waters of moderate temperature, but now the warmer water is damaging the forests. What’s worse, the warmer waters have attracted warmer water fish that feast on the kelp. The researchers conducted a ten-year long study on the kelp forests off the north coast near Coffs Harbour. In this time span, the water warmed by 0.6°C (1.08°F), and a population boom of the voracious seaweed-eating fish was observed. Kelp completely disappeared from all of their study sites. The forests’ suffering is only getting worse, and it’s very bad news for the hundreds of marine species that live there. 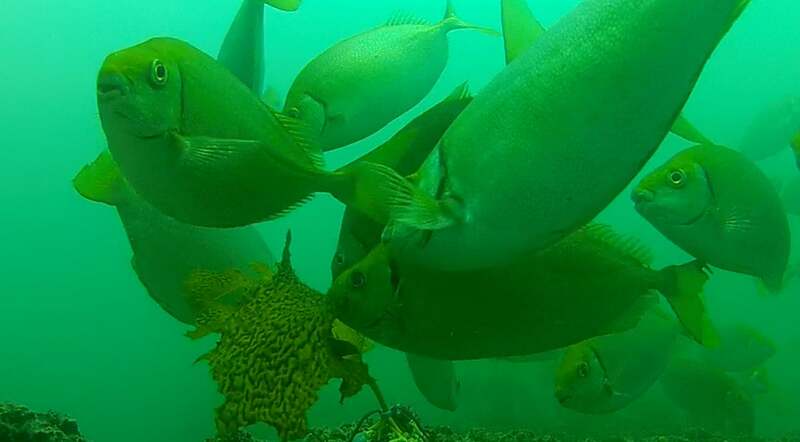 “Kelp forests provide vital habitat for hundreds of marine species, including fish, lobster, and abalone,” said Adriana Vergés of UNSW and the Sydney Institute of Marine Science. The destruction of the kelp forests is another harsh reminder of the effects of our highly-industrialized lives, but we’re not at a total loss. Campaigns and policies are making more and more people aware of the plight of the environment, and the massive ways these problems will impact us. Little by little, we’re trying to reverse the damage to the environment. There are developments from different organizations to help save our ocean: a floating barrier that collects garbage is set to launch in 2020, smart drones can gobble up garbage, and developments in materials science are ensuring that the things we own have less negative impact. It’s of much benefit to remember that in everything we do, we must consciously protect the environment around us.